Can you spare a chair? 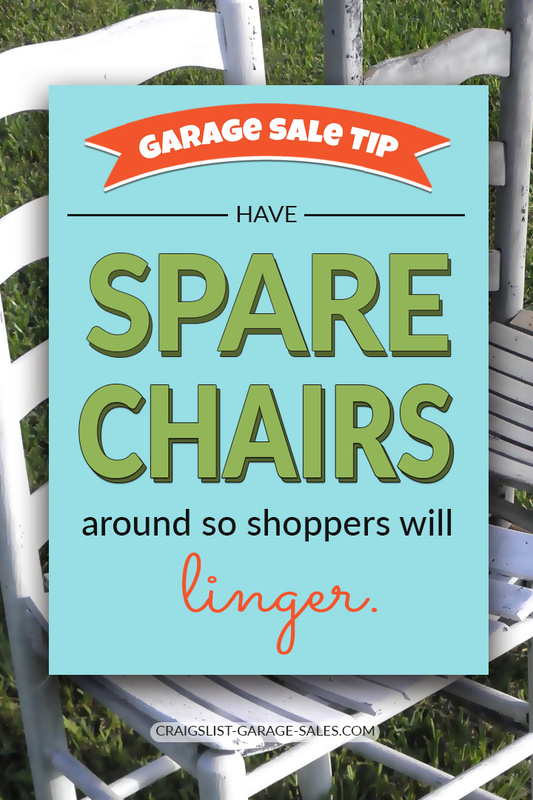 That's because a few spare chairs strategically-placed at a garage sale is not only thoughtful and courteous, it also encourages shoppers to linger. 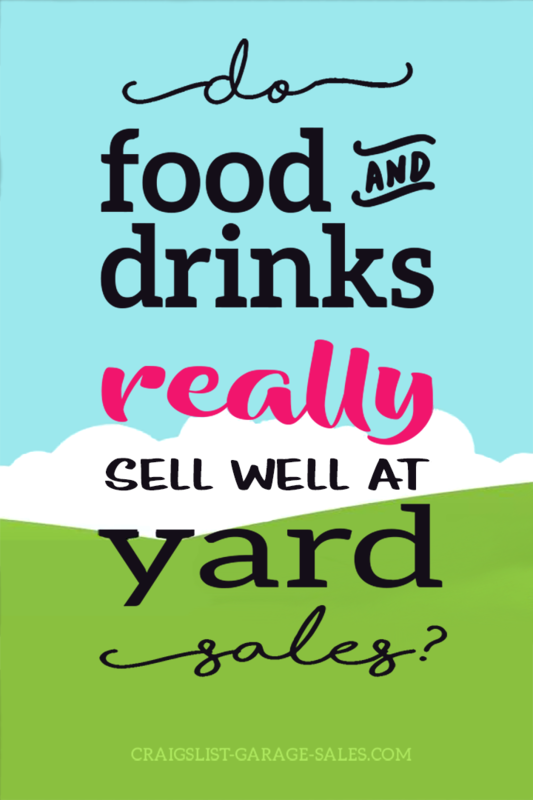 And the more time someone spends at a sale — the more likely they are to spend money. 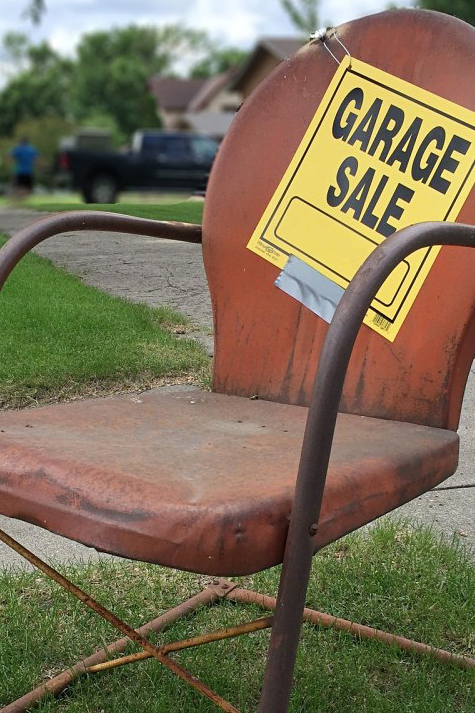 This spare chair doubles as a garage sale sign. 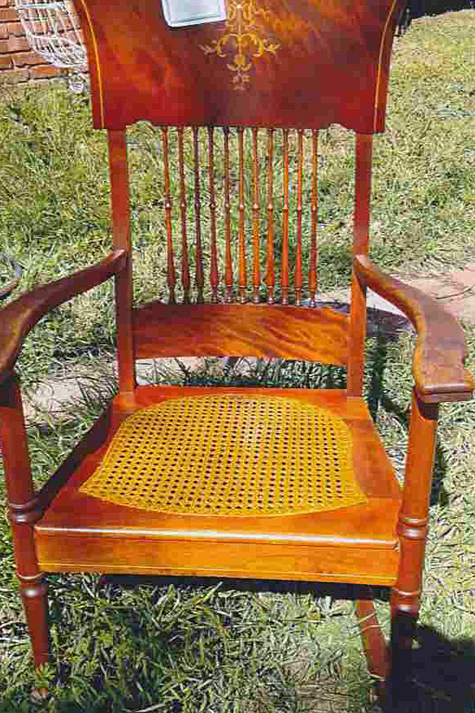 What are the best spots for spare chairs at a garage sale? 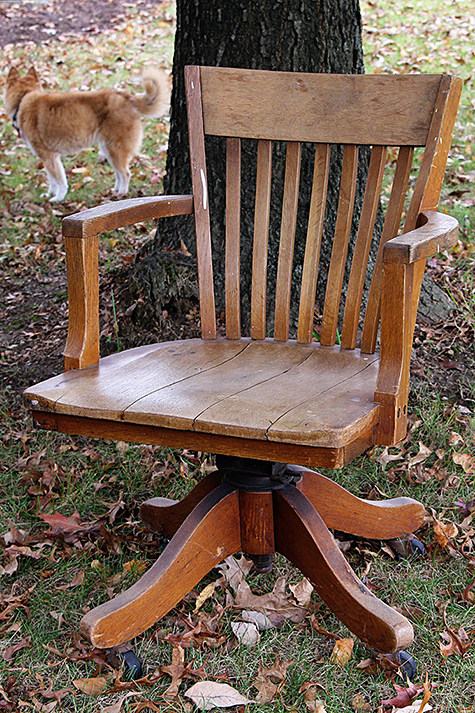 Ideally, you should have at least one spare chair in front of the check-out table at your garage sale. (Two chairs would be even better!) If you can spare more, place a chair next to a big display of books or beside a play area with lots of toys. 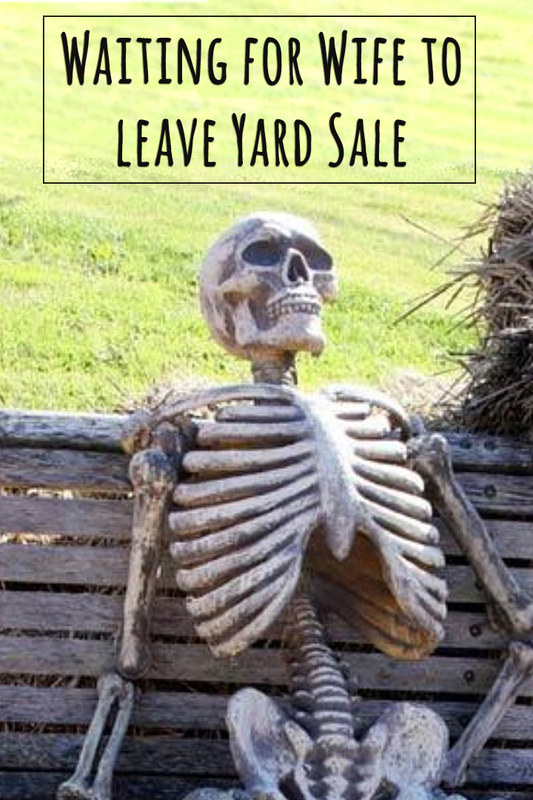 At my garage sales, I use furniture and home decor I'm selling to stage a "living room" on my driveway. It's a magnet for people driving by and shoppers are naturally drawn to sit on the furniture. 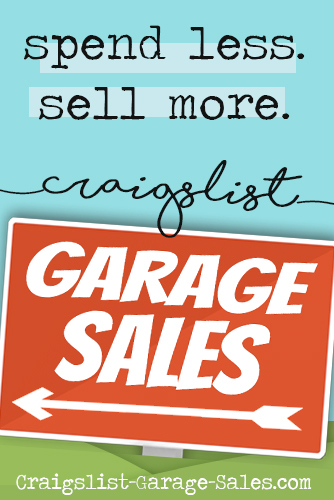 Garage Sale Tips: Smart advice about Garage Sale Pricing you can bank on!